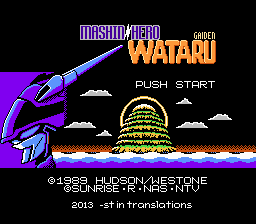 Mashin Hero Wataru Gaiden is a game based on a popular anime series known by the same name minus Gaiden. 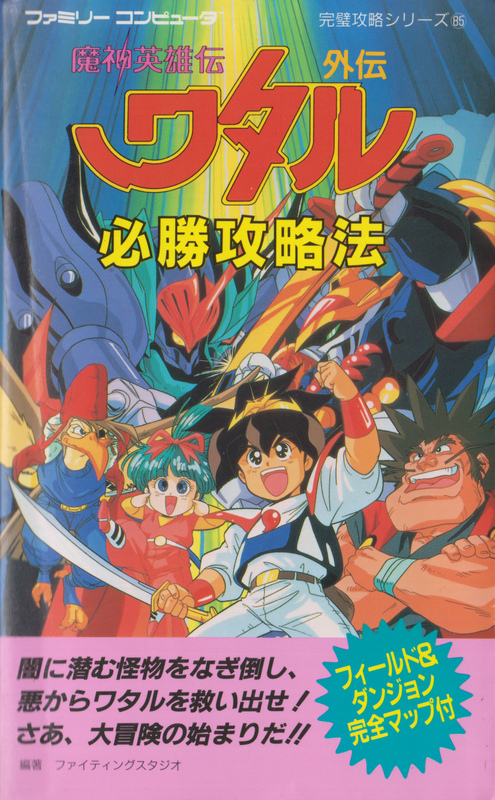 In this game you play as yourself and you must save Wataru who has been capturedby the evil Dakdar. The game is fun and interesting in the fact that it is an action game but also has RPG elements that flow very nicely together. 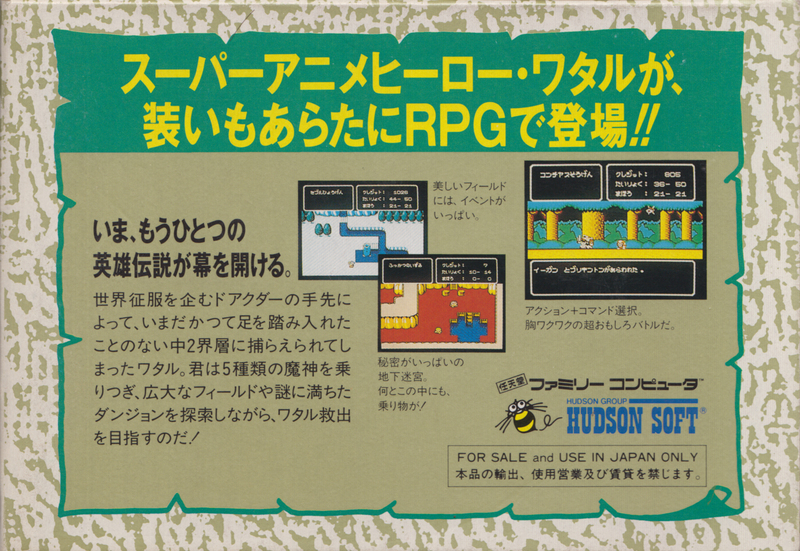 The map is overhead view similar to other NES RPG’s of its time while the battles switch over to a side view based screen similar to Zelda 2. It’s too bad it was never brought to the US as I’m confident it could’ve done very well but since we never got the show over here I suppose that makes sense. You’ll travel the world doing various tasks and trying to locate the Dragon Treasures in order to save Wataru. Each area has its own theme as well as enemies which adds to the overall charm. 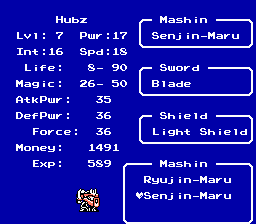 This is a hack I started many years ago before I knew much about rom hacking and it never progressed too far. Later after finishing Castle Quest pennywise contacted me and revamped and improved the Castle Quest translation quite a bit while teaching me various rom hacking techniques. With those I began to start hacking Wataru again and got much farther. 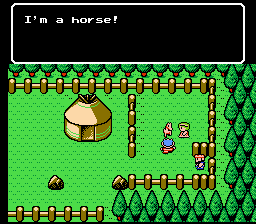 I contacted my friend Austin (tkcne) that was living in Japan to help translate the game and due to his prior experience with ASM he began to hack Wataru and helped speed up the process immensely. There is no way the translation would have been completed without his expertise in the amount of time, nor would it likely be as well done. There are likely bugs (of course) but we have tried to catch them all. If you come across any please contact me at hardcorehubz@yahoo.com and we will likely release an additional patch once enough bugs have been found. Of course any game breaking bugs will be fixed immediately but there shouldn’t be any. To apply it you’ll need the original Japanese ROM which I can’t provide but you can Google for it here. 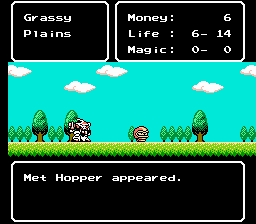 I can’t remember off hand but when you’re in the overworld screen you can press either A or B or Start or Select and it should bring up a menu where you can select magic. Not all spells are usable in the overworld though. Battles it is something similiar. Just try pressing those buttons and it should pop up in one of them. 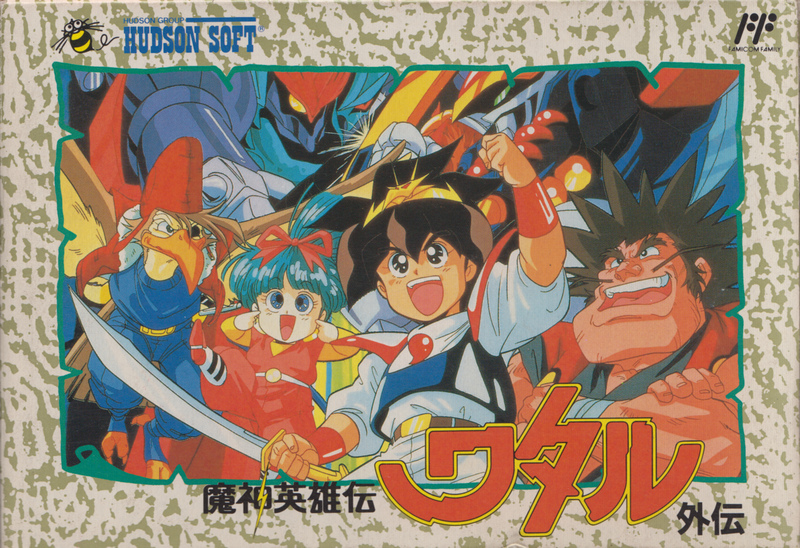 This is good stuff–reminds me of Dragon Warrior !. Thanks for sharing–maybe you guys could tranlate and post the manual?